If it’s time for an upgrade and you have extra space in your bedroom, a Super King Mattress is a luxurious option! If you share your bed with a partner, a Super King Mattress gives you both the space to toss, turn and ‘starfish’ as you please, without waking or disturbing your other half. Available in three different sleep surfaces, Super King Mattresses are luxurious and come with a range of benefits to suit everyone. Whether it is for yourself, for you and your partner, or even the whole family, you will not be disappointed with the luxury and comfort a Super King Mattress can provide. It’s worth the splurge! Super King Mattresses are sized at 204cm x 204cm, offering a huge sleeping surface to indulge in. Their spaciousness means they are highly beneficial for those with injuries, providing the space necessary to stretch out the limbs or lie flat on the back. Super King Mattresses are a social bed, with room for family members and pets to jump in for a cuddle! Pregnant women also benefit from the extra space this size provides. Our exclusive Chiropractic Collection — designed by SleepMaker and rigorously tested by the Chiropractors’ Association of Australia — features many Super King Mattresses. Our Chiro mattresses ensure correct spinal alignment and help you to maintain your posture sleeping, allowing you to achieve a better night’s sleep. Our 60 Night Comfort Exchange guarantee ensures your peace of mind, taking away the stress of the purchase.  If you are dissatisfied and change your mind within 60 days, our Sleep Consultants will happily exchange your super king mattress. We will also take away your old bed at no extra charge!